Are you purchasing or selling a home in Peoria, IL? Perhaps you wonder whether or not you should contact a real estate attorney to help facilitate the transaction. If you face unusual circumstances or want to understand all of your legal options, a real estate attorney may be the answer. When you seek legal assistance, only the most qualified and knowledgeable attorney will suffice. Kepple Law is committed to fostering cooperation among each player in your real estate transaction – including the purchaser, seller, real estate agent, and lending agent (when applicable) – to negotiate a satisfactory outcome for all parties. When Should Homebuyers Call a Real Estate Attorney? When complicated or difficult circumstances surround your Peoria home purchase, an attorney can help you sort out complex legal issues and achieve a successful closing. You are a prospective home buyer currently living outside of the Peoria area. You discovered the property in question as part of an estate sale. You seek to invest in commercial property. 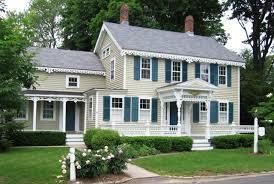 You are buying a home that has possible structural issues. Your potential home’s location may pose a higher than normal risk for natural disasters or other health hazards. When Can a Real Estate Attorney Assist a Seller? 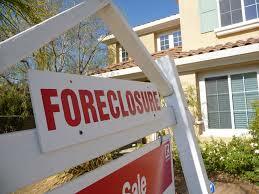 The property you are selling is in a state of distress. A deceased owner named you the heir or executor of the property. You are experiencing difficulties with a co-owner. Your past record includes liens or judgments. You know of any other factors that might jeopardize a sale. Those buying or selling homes in Peoria, Pekin, East Peoria, Morton, or Washington can turn to Kepple Law for their legal needs. Our attorneys possess an intimate understanding of Illinois real estate law, so you can feel confident in our ability to handle your case with diligence and skill. Contact Kepple Law Group, LLC today to discuss your options by calling 309-282-1545.